Scientists are going to recount the number of polar bears in the areas of the Spitzbergen and Franz-Josef Land Archipelagoes. In August 2015 scientists will go on an expedition to recount the number of polar bears in the Northern Barents Sea, off the coasts of Russia’s Kola Peninsula and northern Norway. According to forecasts, climate change and the reduction of the sea ice have likely had a negative impact on the region. The last census of bears in the Northern Barents Sea was carried out in 2004. At the time scientists counted 2,644 specimens. New data will allow them to determine what is happening to the bear population. The counting method has been developed by leading world specialists at the Polar Institute of Norway, the University of Oslo and the All-Russia Scientific Research Institute for the Defense of Nature. They will all take part in the census, together with the Russian Arctic National Park. The scientists will set off on the Norwegian icebreaker, Lance, and then will reach the areas where bears live by helicopter. The so-called “bear patrols” have been active for some years now in the eastern regions of Russia’s North. Specialists keep animals away from populated areas and teach people how to escape from a bear in the case of an encounter. 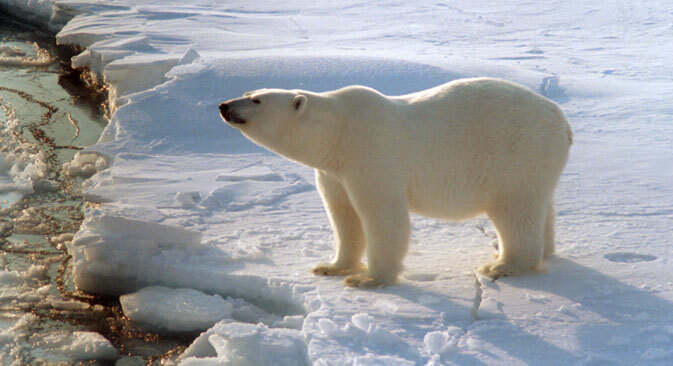 Polar bears spend most of their lives on icebergs drifting in the Arctic Ocean. With the arrival of spring they usually migrate to the North, but many land ashore and remain there for several months. In the eastern part of Russia’s Arctic coast it is not uncommon to come across a bear. “Last year in August a lot of casual encounters with bears were reported in the Nenets Autonomous District,” Ivan Mizin, expert of the Barents Sea section of Russia’s division of the WWF, told RBTH. “Most likely, this was related to a lack of what constitutes their usual food.” Mizin has taken part in many Arctic expeditions and knows well how deceitful the friendly appearance of bears can be. If global warming continues, more bears might remain ashore. But such a life constitutes enormous challenges for them. They can suffer from hunger on dry land, because they are unable to hunt their usual prey: seals. Their life on land often depends on chance, which is why this polar predator is changing its usual menu and is developing new hunting methods. For example, it has learned to hunt walruses and even lemmings (a kind of small rodent similar to mice). The polar bear is quickly adapting to these new conditions. Due to this ability, it has already survived several periods of global warming throughout the course of its own evolution. However, this time scientists are afraid that the living conditions are changing too fast to allow bears to get used to them.